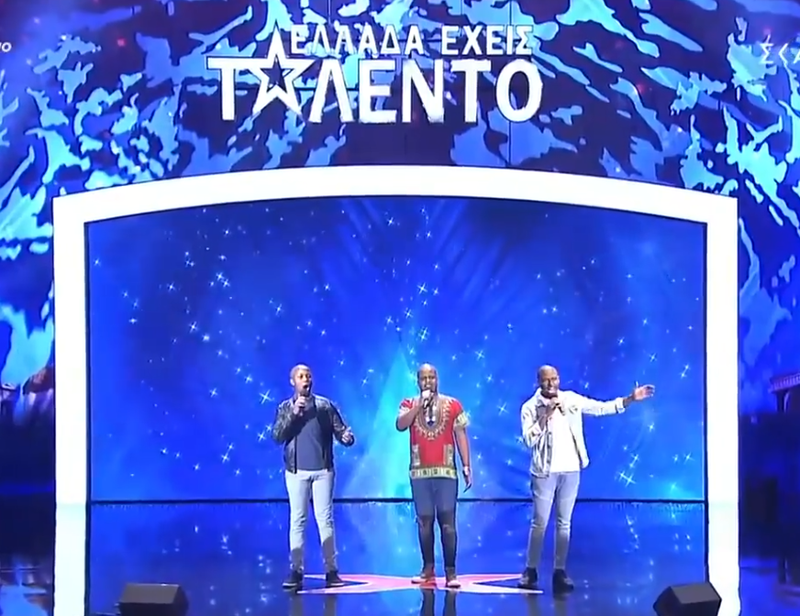 The South African Tenors left everyone in awe after their performance on the Greece' Got Talent stage. Three South African singers; Sandile Sikhosana, Smanga Thango, and Luvuyo Situmane, moved to Greece six months ago to try and make a name for themselves in the European country. They have been singing at restaurants and similar event spaces before finally deciding to take their opera talents to the national stage by auditioning on 'Greece Got Talent'. What happened next is proof of South African excellence. From the first note, the act gives the audience something they would never have expected. With incredible control and passion in their voices, the South African Tenors deliver an impressive rendition of a popular Italian opera staple. By the end of their performance, they have won smiles from the crowd and enthusiastic cheering from the presenter of 'Greece Got Talent', Giorgos Lianos. Proving that talent transcends all boundaries, one judge tells the group that he is happy they came all the way to Europe to share their talent. "It is not called Greeks Got Talent, but Greece Got Talent", he says before going on to talk about how incredible he thought the performance by Sandile, Smanga, and Luvuyo was. The praise did not stop there, as two of the three judges got out of their seats to give the South African Tenors a standing ovation. To end their audition on a truly magnificent note, the men were given an express pass to the next round as Lianos, after a brief but tense huddle with the judges, presses the golden buzzer, eliciting wild cheers from the crowd. The three singers are ecstatic about the outcome and it is clear that they have just received something they worked very hard for. Sandile shared his gratitude on Facebook. Keep a close eye on the South African Tenors - they're going straight to the top.